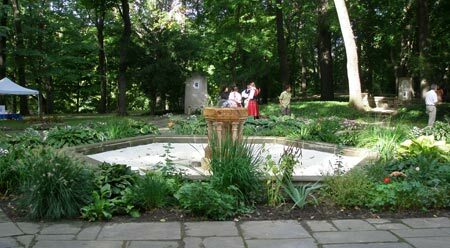 The Hebrew Cultural Garden was dedicated May 5, 1926. 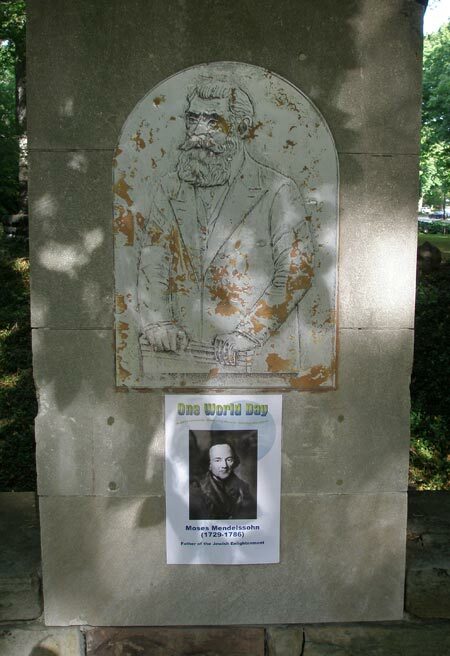 In 1916, Leo Weidenthal asked William Hopkins, City Manager, to donate land for a Hebrew Cultural Garden, which became the second in a chain of 23 cultural gardens. 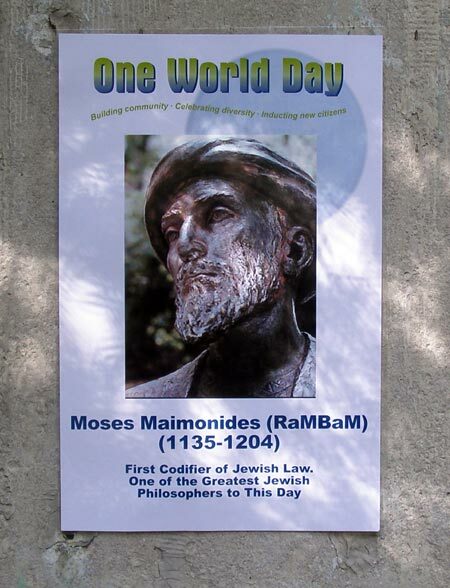 The original design included large stone tablets as four points of the Star of David which bore bronze plagues of the Jewish philosophers, Ginsburg, Maimonides, Mendelssohn, and Spinoza. 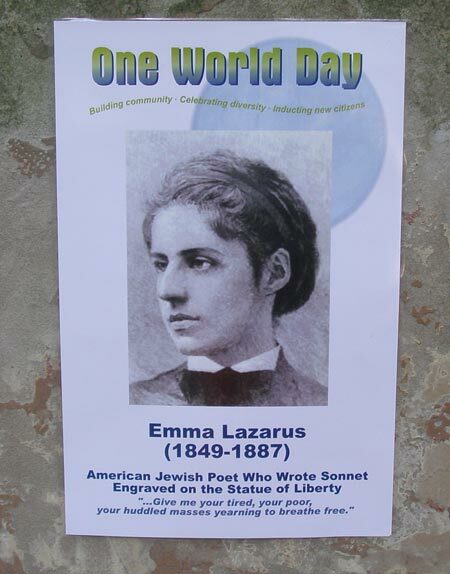 At the north end of the garden is the Poet's Corner with a ravine rock garden that contained plants from Israel. On the rocks along the back of the ravine were bronze tablets with inscriptions from Hebrew literature. 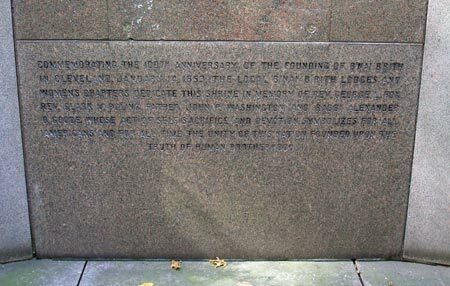 At the south of the garden is the Music Garden dedicated in 1937. It was planted in the shape of a Hebrew Harp with a monument bearing plagues of Hebrew composers Book, Goldmark, Halevy and Meyerbeer. 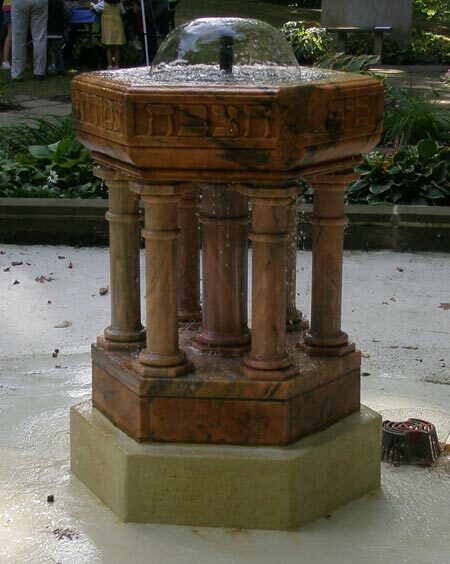 Throughout the sixties and seventies the Garden was vandalized, the fountain crumbled and 23 plagues were stolen. Since 1996, community members have volunteered to clean, paint and maintain the Garden. 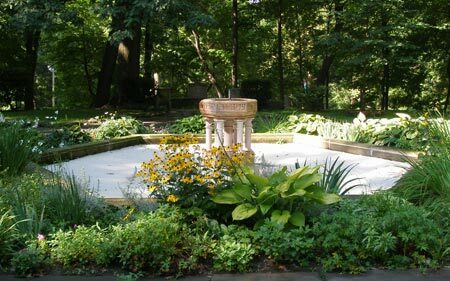 The Jewish Community Federation of Cleveland, Holden Parks Trust and dedicated community members renovated the marble fountain and are working to restore the garden to its original beauty. she hath hewn her out seven pillars." 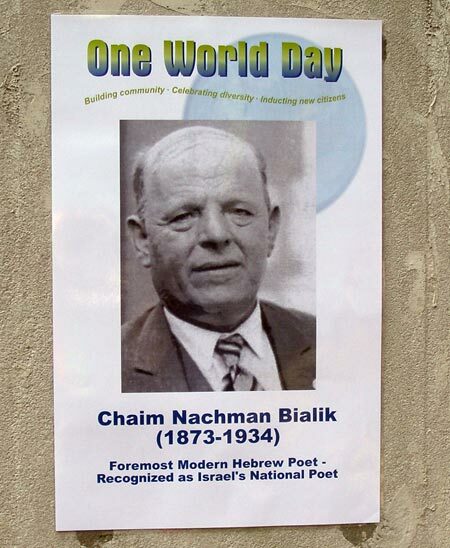 Commemorating the 100th anniversary of the founding of B'nai B'rith in Cleveland January 14, 1853. 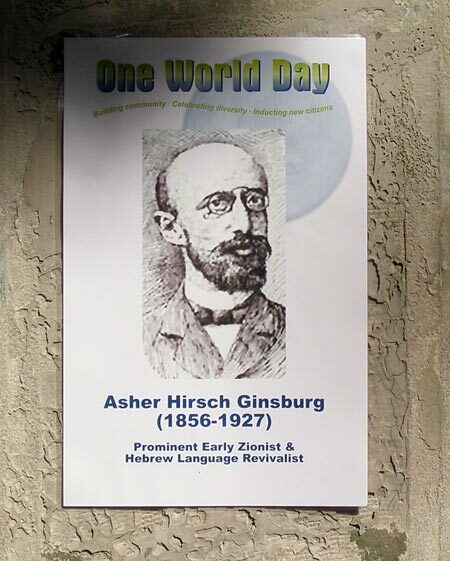 The Independent Order of B'nai B'rith or "Sons of the Covenant" is the oldest continually-operating Jewish service organization in the world. 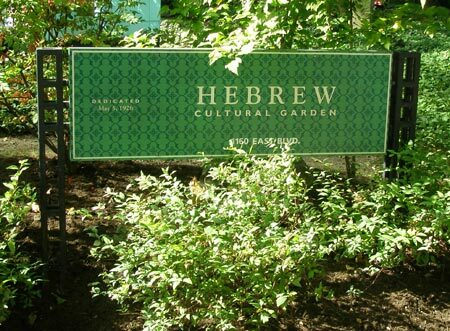 Unfortunately, the Hebrew Garden was vandalized in the 1960's and 1970's and 23 plaques were stolen. 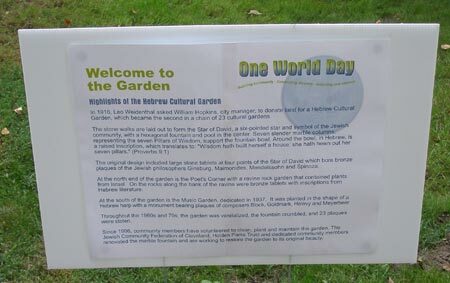 The Jewish Community Federation of Cleveland has been supporting the beautification and maintenance of the Hebrew Garden. 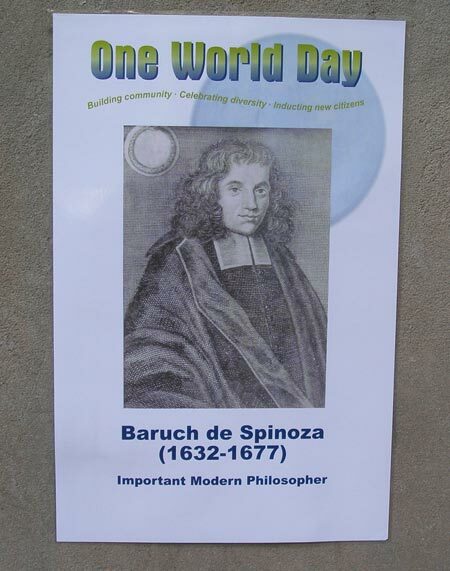 For One World Day 2007, signs were placed over the spot where many of the plaques were originally. 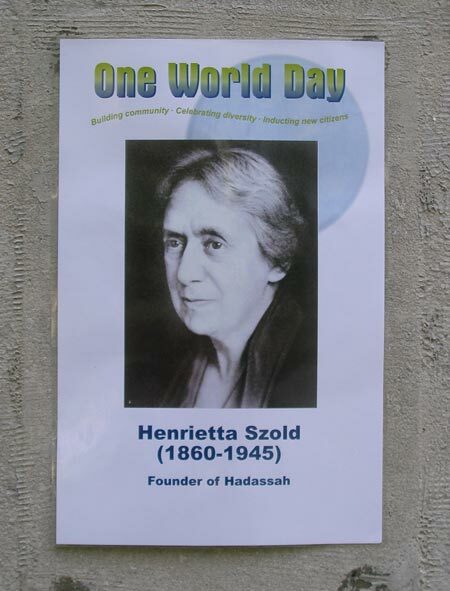 If you want to reach the Jewish community in Cleveland and Northeast Ohio, please contact us.